Glass is a fluid material that is alive. This, is if anything, is what I want you to feel from my work”. Emma’s work is inspired by the individual, the surreal, and the super real things in life. 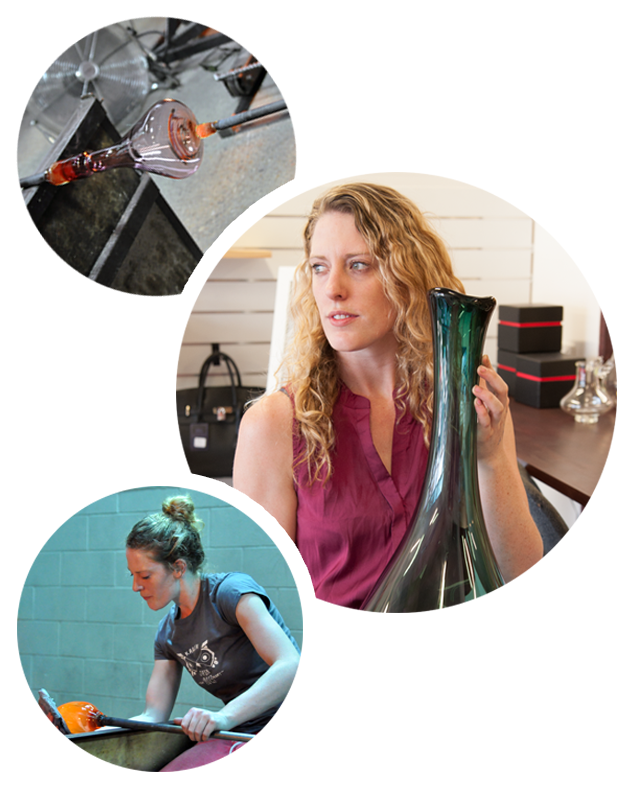 The excitement she feels when working this fantastical medium evokes the idea that glass is alive in its molten form, always moving and ever changing. This is what she hopes to capture in her work.